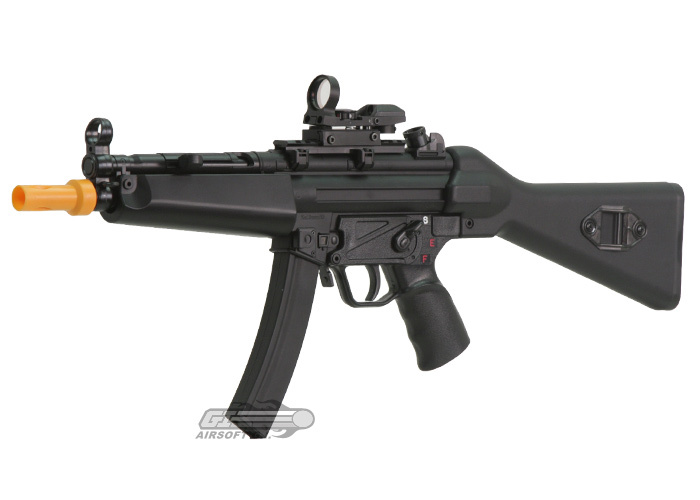 The MK5 A2 SEF Sportline features a full metal receiver. In addition the CA MK4 A2 has a full stock that can hold a large battery pack for extended playtime. 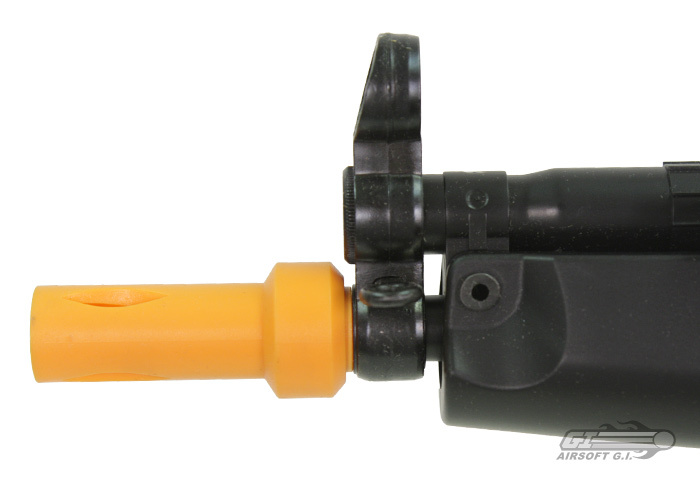 It also features front and rear sling mounts, which gives the user the option of a side mounted three point sling. 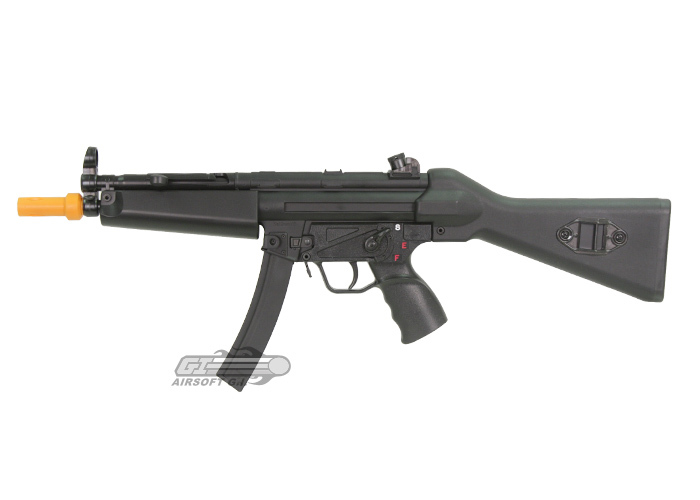 All these features and the overall length of the MK5 A2 make it excellent for both indoor and outdoor games. I have owned a CYMA M14, JG M16A1 and G3. 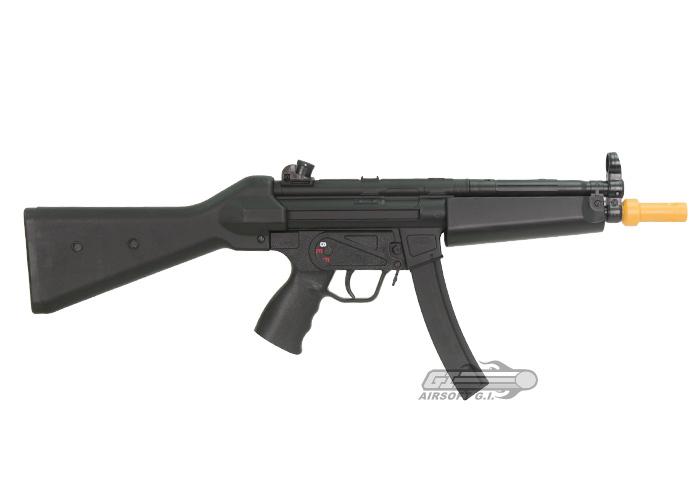 I will straight up and tell you that I wouldnt have given any of them a second look had I known *and if they where out* about the sportline MP5's by Classic Army. The weapon is solid from the perspective of the low end models. The box this weapon comes in could survive hell and war... seriously... I think 20 dollars went into the box. Now why so strong a box? 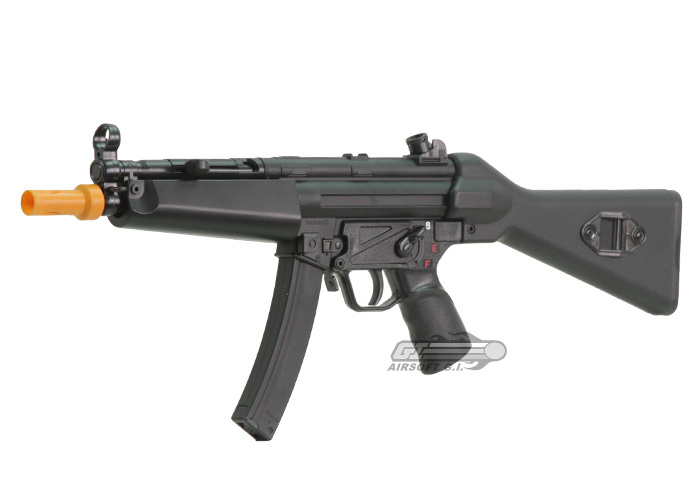 Well I can not tell you how many times I have bought an airsoft gun that was broken due to shipping damage. The stock battery and charger are actually really nice. A 1400 MAH NiMH batter with a 250 MAH charger is really nice. 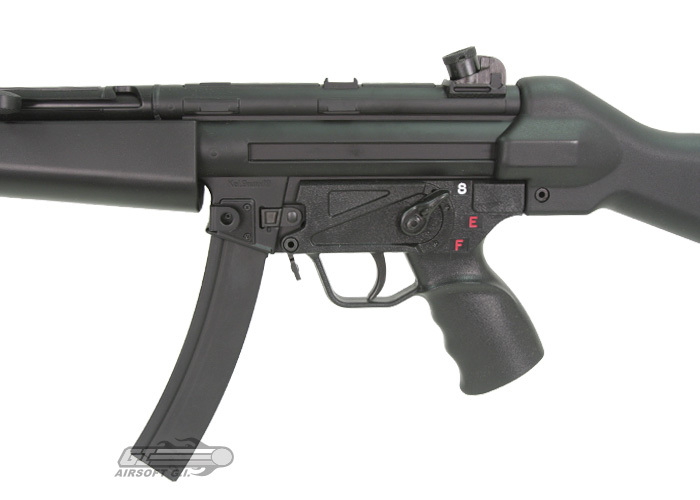 I can get about 2000 + shots out of my MP5 on that battery alone before the battery dies. And trust me, you wont even know the battery is dying - it is consistant and all ways reliable. The body is sturdy, I picked the gun up out of the box and felt like it was a real weapon. *being leniant* The plastic is solid and the way the gun is constructed just feels superior to anything JG or CYMA could make.. DE etc etc. Fire power is outstanding. My friends say "Do you want to mess with the Classic? all you see is a line of white then you start burning all over" The weapon has a classic army high torque motor with an M110 spring out of a high drain motor. Picture putting a V8 engine on a bicylce... its gonna go reaaally fast. Stock + battery placement is fairly easy. It is somewhat of a tight grip, but the wiring is really solid and flexible - so the wires will move, bend etc as compared to cheaper guns that form creases and cut the wiring. Amazingly enough, the stock 6.08 barrel is more accurate than other standard bore barrels. It is made of that blue aluminum and doesnt corode or get as dirty as brass does. Also, the barrels are made very well and wont warp under extreme conditions. Under semi auto the gun seems to fire a BB into the exact same spot every time. The body is well designed, and very accurate to the real thing. So rail mounts etc will fit on this gun. 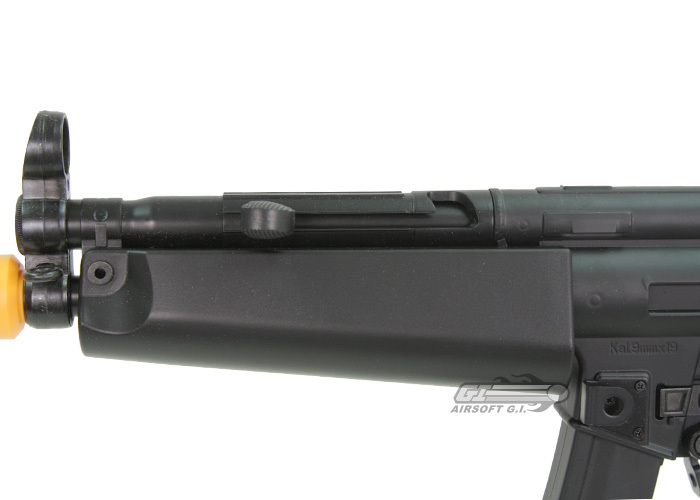 JG and CYMA guns have a hard time fitting some rail mounts due to their lack of precision in body cutting and molding. The plastic body may be a turn off to alot of people.. to me, the only weak spot is the "bolt tube" on the front of the body. The BOLT. It is a plast hollow tube. It will survive, but when one of your friends watches too many movies and wants to slap the bolt really hard... yeah... gives plastic a tough time staying sturdy. Over all... this gun is what I would like to call a mid-grade gun. You have your JG's, CYMA's and Wells that are cheap and what not, then it seems you have to jump to G&G and CA that cost you an arm and a leg. 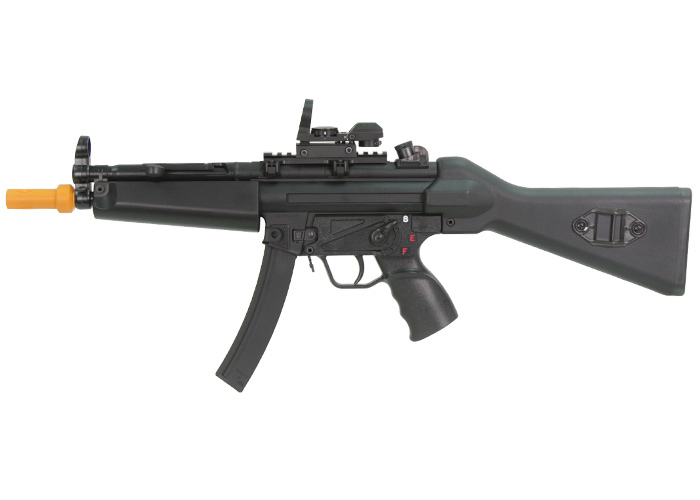 If you want a good solid "good of both worlds' kind of gun, go with a sportline. 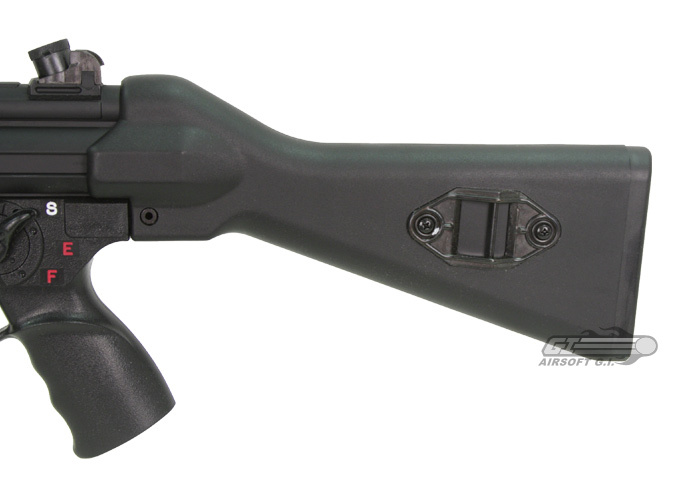 They are cheaper than a full metal CA or G&G but are stronger and have much better engineering than a cheapo clone.